Despite his brother the duke's refusal to acknowledge Juliet, Gareth is determined to do right by the courageous woman who crossed an ocean to give her baby her rightful name. But Juliet is wary of marrying this black sheep aristocrat, even while she is hopelessly charmed by the dashing devil. Never has she met anyone who embraces life so thoroughly, who makes her laugh, who loves her so well. And, even when it seems the odds are against them, Juliet has absolute faith that Gareth will go beyond the call of duty, risking his life itself to give her and her daughter a home - and a love that will last a lifetime. 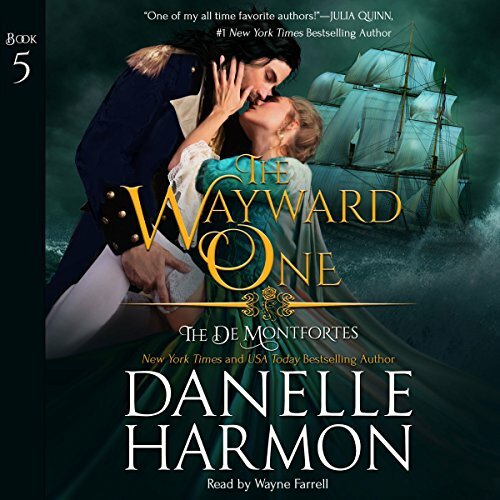 In this second installment of her breathtaking De Montforte Brothers series, critically acclaimed author Danelle Harmon introduces us to Englishman Lord Charles de Montforte, who awakens in the tender care of an American beauty after being wounded in battle. Amy Leighton has long wished for someone special to enter her life and take her away from a cruel, unloving step-family, but the handsome stranger is from an enemy land...and he's sworn to love another. A 1775-era Cinderella story sure to enthrall! Fantastic! My favorite de Montforte Brother!! Terrific End to the Series! Lucien's best friend Sir Roger Foxcote has long since lost the spirit of Christmas following a tragic loss. Lucien's cousin Angela Seaford Holmes is widowed and destitute. Is Lucien's gift of a portrait that Fox adores a mere Christmas gift to Angela, or is the manipulative, matchmaking duke back to his old tricks? Once again, Lucien sets in motion events that are all but guaranteed to bring together this unlikely pair.